I am not sure why I have never made blonde brownies before, but I thought these were really good. Depending on the holiday you could customize with M&Ms that show off the holiday colors. I found this recipe here. Beat the brown sugar and butter until it is creamy. Next add the vanilla and eggs and beat again. Then sift together the salt, baking powder, and flour. Slowly beat it into the butter mixture. By hand stir in one up of the M&Ms. 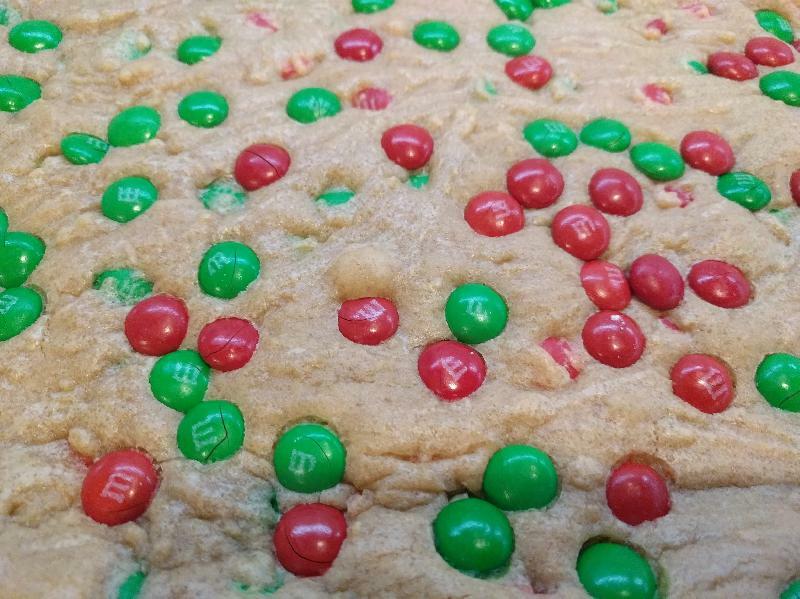 Spread the batter in the baking dish and sprinkle the remaining M&Ms on top. Bake for 22-24 minutes. Let it cool completely before cutting.